Don McLean wrote a song back in 1972 (I think) entitled “American Pie.” There are numerous theories about McLean’s intended meaning but most seem to agree it’s his lament over the lack of “danceable” music in the 1970’s. 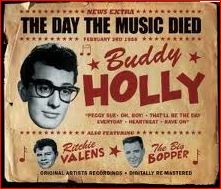 The death of Richie Valens, the Big Bopper, and more importantly Buddy Holly was the single most significant tragedy in the direction, or lack of, in modern music. McLean seems to be arguing that when Holly died, the future of music died with him. It was a death which brought devastating culture-changing consequences. But what really happened, in my opinion, was that in the decade of the 60’s a cultural revolution brought about by rebellion, drugs, and sexual promiscuity destroyed the harmony of the American Family. A more significant kind of death took place with much greater consequences in our culture and it’s been occurring all around us for over 50 years. The sad part is it doesn’t even arrest our attention anymore.